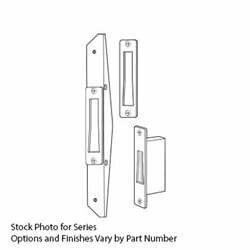 Heavy Duty Dead latch, Flat Faceplate, 1-1/2 In. Backset, 2-5/8 In. Flat Mortised Strike, LH or RHR, Satin Aluminum.